When an ancient ritual requires Wonder Woman to protect a young woman from anyone who threatens her, it pits the Amazon Warrior against her Justice League ally, Batman! And while an array of enemies, including Silver Swan and the more dangerous than ever Dr. Psycho, attack Wonder Woman on all fronts, it’s the publication of Princess Diana’s book that opens her to an assault by a new and deadly foe – the malevolent Veronica Cale – and places Wonder Woman’s island homeland of Themyscira in grave danger. 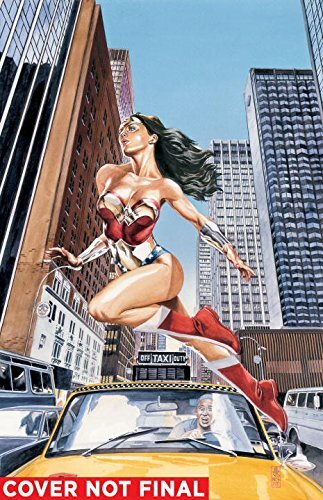 Best-selling writer Greg Rucka (DETECTIVE COMICS) teams with artists JG Jones (FINAL CRISIS), Drew Johnson (SUPERGIRL), Shane Davis (SUPERMAN: EARTH ONE) and more for the start of his legendary run on the title as Wonder Woman stands against mortal foes and faces the machinations of the gods themselves! Collects the highly sought after WONDER WOMAN: THE HIKETEIA and WONDER WOMAN #195-205.